1 lb. Case RRH - Really Raw Honey - "Straight from the hive"
This honey is the absolute best you can buy unless you become a beekeeper yourself. I drop a teaspoon of Really Raw Honey into my quarts of raw milk produced by Jersey cows grazing on pasture grass. In a few hours, the raw honey dissolves in the raw milk, breaking down the milk’s hard-to-digest casein protein in the process. Raw milk and raw honey together truly are greater than their individual nutrition. 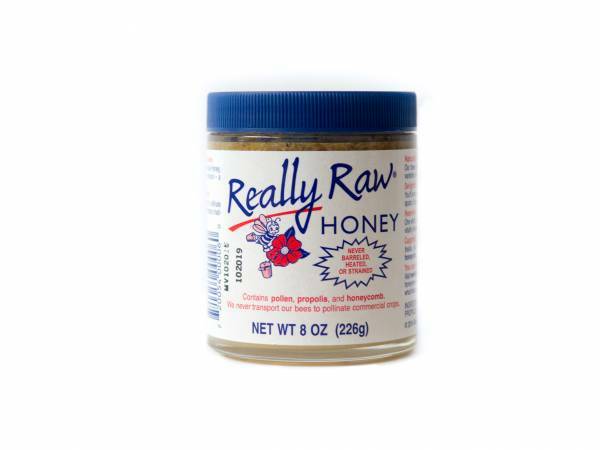 Really raw honey is also great spread on toast … spread on chapped lips or a patch of dry skin, too.